Flywheels are used as a method of energy storage for many different devices. This stored energy can then be released instantly or gradually over time. 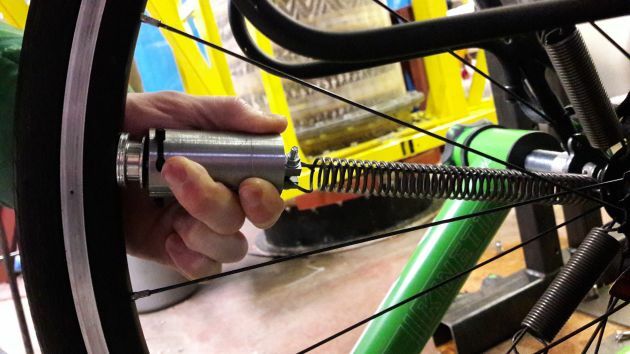 So, what if such a system could be developed for use with a bicycle wheel, which would allow cyclists to store energy from the outset of a ride and later call upon it during drops in performance? In 2005, Czech rider Ondrej Sosenka broke a long-standing UCI Hour Record, after riding 49.7km (30.9 miles) in an hour’s time, using a similar method. In this case, he rode a custom carbon bike that was fitted with a weighted rear wheel, whereby it acted as a flywheel allowing him to maintain speed during drops in his performance. However, simply fitting a heavier wheel to a bicycle is not enough to create the flywheel effect used by Sosenka for everyday riding conditions, as large amounts of energy are required to get the wheel up to speed, resulting in slow acceleration from the start. So, what if a system could be developed that would allow weights move from the center of the wheel to the outer rim based on speed, thus providing a flywheel effect that would minimizing the amount of energy required from start and continue to produce energy as speed increased? 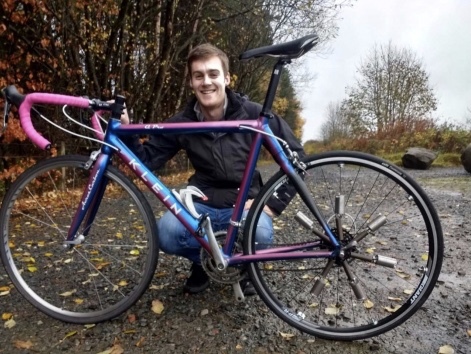 To find out, Heriot-Watt University honors student, James Carchrie, undertook a research program to try and determine if the use of such a mass sprung system could benefit cyclists by maximizing their power efficiency. 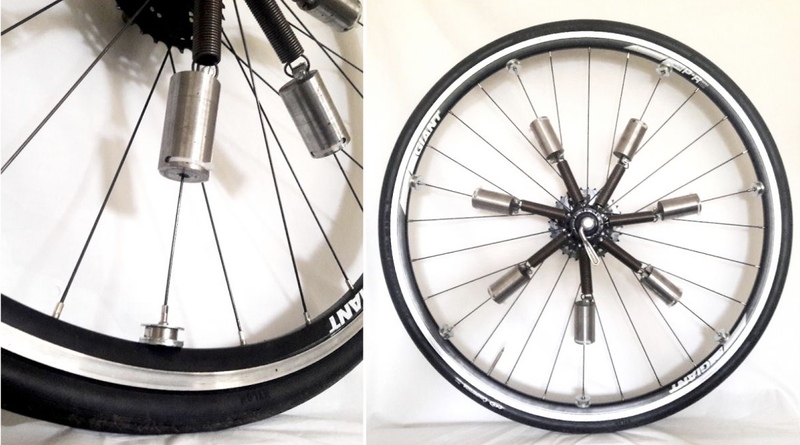 Therefore, Carchrie designed and built a dynamically weighted wheel system, which relied upon a mass-sprung flywheel that could be directly incorporated into the spokes of a bike wheel. Following its successful development, the weighted-sprung system was tested via human and electrical power methods. It was found that the weighted-sprung system provided a 5% increase in deceleration rate compared to an unweighted wheel, while a higher percentage could be achieved with a weighted one. This resulted in a weighted-sprung system that required much less initial energy input. Additionally, Carchrie’s weighted-sprung system maintained the same properties of a weighted rim at operating speed, while magnets positioned at the rim produce kinetic energy that could be momentarily stored and called upon later. For example, during tests, the magnets held the weights in their outer position at lower speeds, meaning that small dips in speed didn’t cause them to move inwards and create a weighted effect on the wheel. However, as speed increased, the weights overcame the magnets, thus creating greater mass at the rim of wheel which resulted in sprung energy being released during faster rotation. During these tests, Carchrie’s system was equipped with seven one pound weights attached to the spokes, which reached the desired flywheel effect at around 20mph, while the magnets began to pulled back to their inner position only when speeds dropped to around 15mph. You can read Carchrie’s full research by downloading his dissertation here and here.